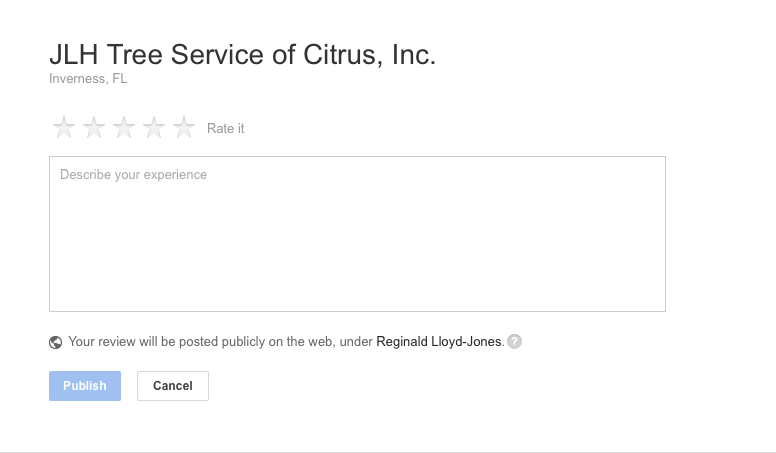 Click this link to see JLH Tree Service Reviews. At the top of the page click on write a review. Log in to your Google account. Sign in to Google with your email address and password, then click the “Sign in” button to continue. If you do not have a Google account, you must click on the link for “Create an account now” directly under the sign-in section and follow the prompts. 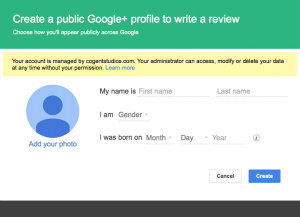 Once you have created a Google account, you can proceed to write your review. Create a Google Places nickname. 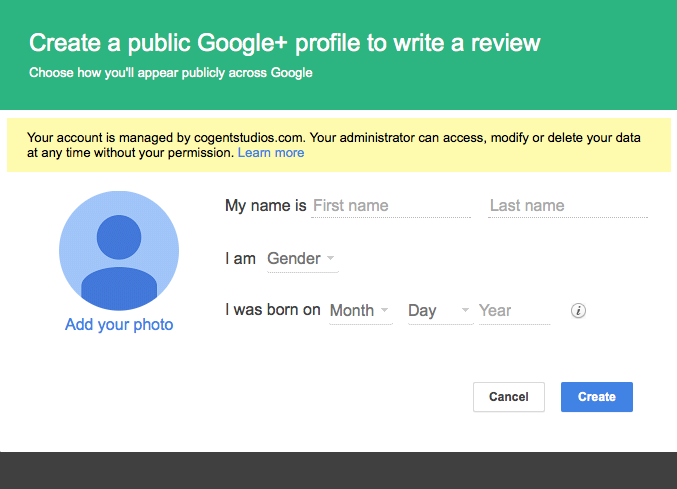 Places that you review and rate through Google will always be made public, so you must create a name or nickname. You will also have the option to set up a profile picture. Click on the “Create” button once you have finished creating a public profile. 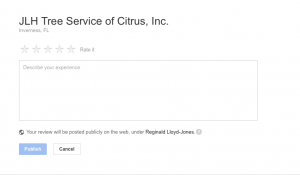 Write the review. After signing in, a text box will appear allowing you to write a review for the us. Click on the “Publish” box when you are finished. You’re Done! Thanks so much for spreading the word!